Top Drawer Terpene Infused Distillate : Distillate with cannabis derived terpenes infused. Check out the videos below for more information. 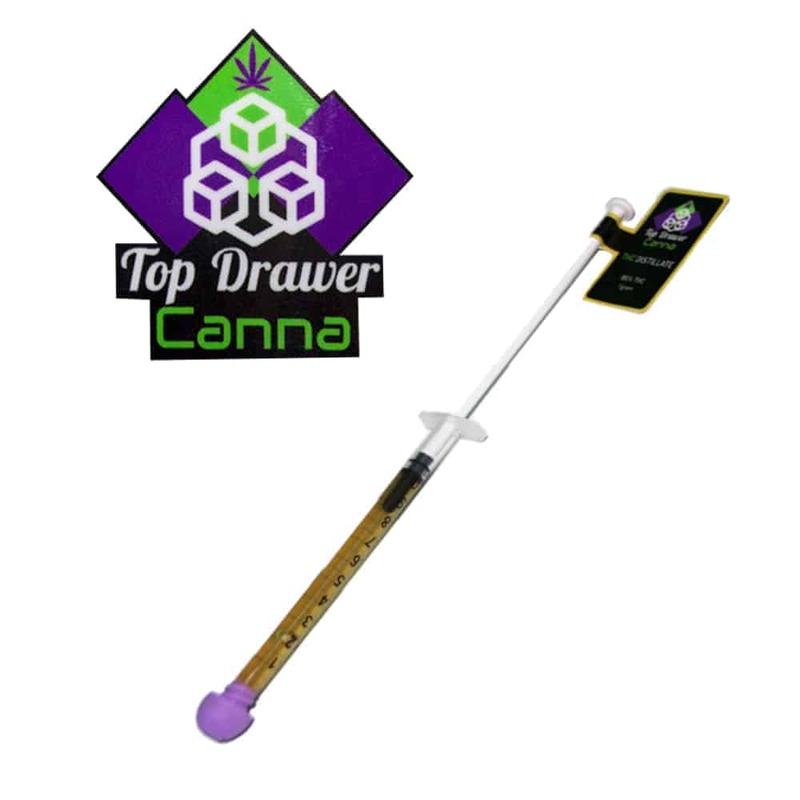 3 reviews for "Top Drawer – Terpene Infused Distillate"
this the best of the best !!!!! wish they sold this as vape !!! A really clean and tasty product here. I tried the watermelon and it was nice n fruity. There is one issue I have and it is with the weight. Whenever oils and distillates come in a syringe the are marked to 1cc/1ml for a full gram. The thing with this syringe is that the plunger has rubber that extends into the syringe barrel thus making me question, is it an entire gram? Maybe this distillate weighs more so 1cc is more than a gram but if it does, it’s the first one I’ve seen.